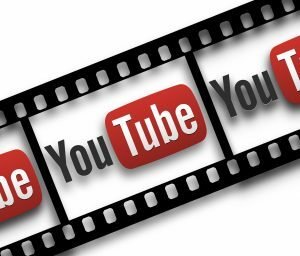 YouTube video can be a valuable addition to your digital marketing strategy. There are many advantages to using video to expand your audience. Video can also enhance your communication with your followers and offer new and better ways to educate them. Video should not be expensive either, there is no need for fancy production costs, in fact, you probably already own most of the tools you will need to create your own videos! YouTube is the second largest search engine in the world. It appeals to a different demographic that prefers to learn by listening to and watching a video. Google, Bing and Yahoo users tend to learn by reading. More and more of your viewers are learning from video. Video appeals to different learning styles and preferences. Watching and listening requires different skills than reading. You can also watch and listen to a video in many more situations and on many more devices compared to reading an article. For instance, it may be easier (and safer) to listen to a video while driving compared to reading an article. Video also lets you convey information that is better “shown” than written. As an example, surgical videos are very popular with my followers. Allowing my viewers to visualize my surgery is much more effective than writing about it. Producing a video should not be an expensive Hollywood production. In fact, the more professional a production, the less credible it becomes. Your “own” video production allows you to be more transparent, human and credible. An over produced “glossy and glamorous” production loses much of the appeal of an “authentic” video. Using a smartphone or even a computer camera is sufficient to convey whatever educational message you want to convey. Expensive camera and audio equipment is not necessary. Editing your video should be easy, too. Very little editing really needs to be done as you will hear. Chance are that you already own most of the tools you will need to get your first video uploaded to YouTube!